Translated, this means only one or at best two things. If their SLPP candidate won the presidency, they would either amend the Constitution to empower the Prime Minister even more than under the 19-A, and make Mahinda the PM. Alternatively, they would amend the Constitution, to restore the rights for a two-term President to contest more times, as they did through Mahinda regime's 18-A for him to contest and win a third term, which chance he lost in Elections-2015. All of it boils down to only one thing. Whether it's Gota Rajakasa or incumbent Maithirpala Sirisena who will be their presidential candidate, if they were to win the highest office in the country, he would end up playing second-fiddle to Mahinda R, if the latter became Prime Minister. That is if Mahinda R did not fancy the presidency any more. If the latter were to be the case, as in Putin's Russia, where he swapped places with an ever-ready Dmitry Medvedev in their time – and not very long ago. Should a Rajapaksa nominee become President in the December polls, and Mahinda has his way ultimately, as outlined by Basil now in none-too-unveiled way, then Gota may after all get back his job as Defence Secretary, if he so desired. His recent declaration to give up his dual citizenship in the US, reportedly to renounce which alone, he travelled to that nation recently, would still make sense. If nothing else, any future 'war crimes case' may not hold, presuming him to be a US citizen. Should the SLPP settle for incumbent Maithri still, Basil's message is clear. Should Maithri become President with the Rajapaksas' support, he too would have to make way for Mahinda R taking whatever job that the latter wanted. Maybe, Sirisena would have to settle for the Prime Minister's job, if still on offer. 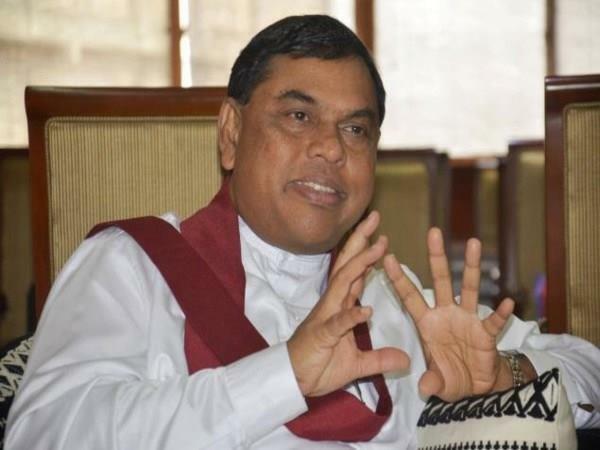 After all, it was known that Maithri was among the favourites in the Rajapaksas' list for Prime Minister if only Mahinda had won his third term in January 2015. There are other hidden riders too in Basil's list. One, the Rajapaksas seem to expect the UNP-UNF parliamentary group to split if their nominee were to become President. It's no big joke or big joke – whichever way one looks at it. After all, that has been the contemporary political history and parliamentary model. If earlier President Sirisena seemed to be seeking an extended term by approaching the Supreme Court for interpreting his term under 19-A, it was mostly because he could not have his way with the present Parliament. Sirisena's current term ends by 8 January but any President in his place can 'dissolve' the House and order early polls only past mid-February, when alone the permitted 19-A's six-month window for the purpose commences. It may not be the case if either Sirisena returned as President (with or without Rajapaksas' support), or a Rajapaksa nominee won the December polls. If Sirisena won, again with or without the Rajapaksas' support, if at all it came to that, then again, he can count on the current Parliament to split and go his way – more by sheer shock and awe than maybe even for a Rajapaksa in his place. In context, Basil's reference to JVP's 20-A, seeking to abolish the 'Executive Presidency', acquires greater and more immediate relevance. According to Basil R, the incumbent Government (read: Prime Minister Ranil Wickremesinghe's UNP-UNF) would consider having the JVP-piloted 'Twentieth Amendment' draft to the Constitution passed with a two-thirds majority, if only to have the December polls delayed. If it were so, any change over from the current form of Government to any form of Westminster kind of parliamentary democracy might still require prior clearance from the Supreme Court and a win in a public referendum under the current Constitution. The same situation may arise even if the Ranil Governments wants their non-serious effort at a new Constitution cleared in time for the TNA/Tamil backing for their presidential candidate in December. After the March session of the UNHRC, and despite all the interpretations that the Government might want the Tamil community to read into the pending resolution on 'war crimes probe', it's going to be difficult for the TNA to guarantee all the community's votes for an UNP-UNF candidate. It is more than likely other Rajapaksa queries for a referendum if their nominee became President could be about 'power-sharing' and political solution to the 'national problem', which the 'ethnic issue' could well still be, even a decade after the successful end of the 'LTTE war'. It's another matter that whether or not a Rajapaksa nominee became President or not, or whether or not their 'referendum questionnaire' included one on the subject, it is more than clear all along that a Government centred on their support would straightaway scrap the continuing Sri Lankan commitment to UNHRC Resolution 30/1 of March 2015. For the record, the current Government did reiterate past commitments, even if only on paper, by 40/1 in March this year, keeping the operative portions intact and extending the life of the earlier one by two more years. Independent of a 'Sinhala nationalist' constituency hiding behind it and also the votes of uniformed men and their families, there are larger issues of 'national pride' and 'sovereignty', which the Rajapaksas, especially with Mahinda R as the public face and Gota R as their main campaigner, has a life and future of its own, referendum or no referendum!